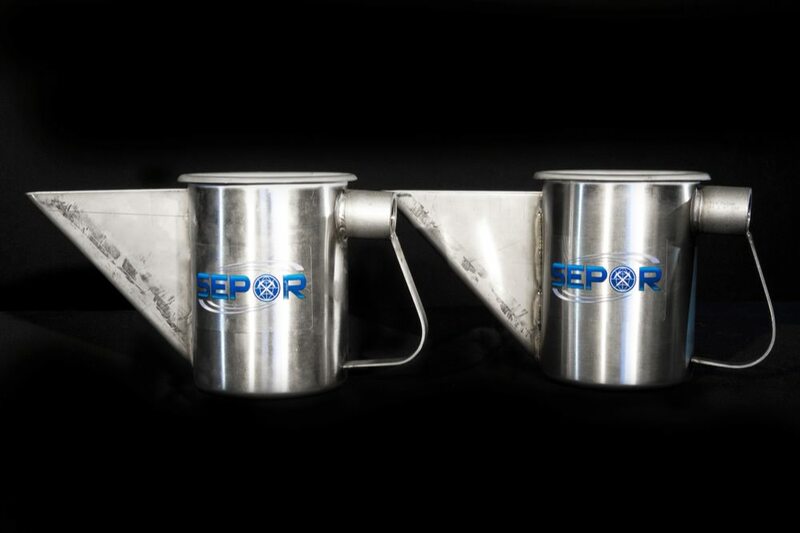 The hand slurry sampler is ideal for collecting samples from discharge streams of flowing slurries. 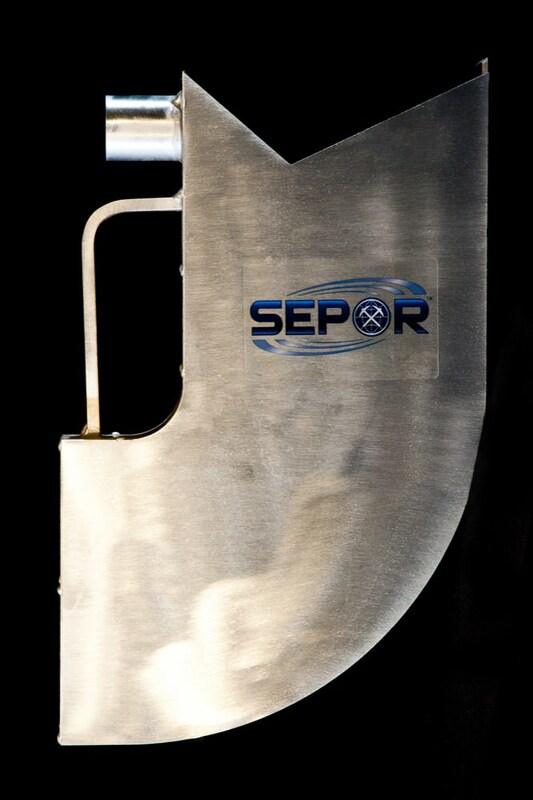 Typically used with a 5 foot extension handle attached, the “beak” of the sampler is moved across the entire cross section of the stream at the same speed, without overflowing the beaker. If beaker overflows, speed up sampling motion, until it no longer overflows. The hand solids sampler is ideal for collecting samples from discharge streams of conveyors, of any flowing stream of solids. Typically used with a 5 foot extension handle attached, the sampler is moved across the entire cross section of the solids stream at the same speed, without overflowing the beaker. If sampler fills before collecting entire cross section sample, speed up sampling motion, until cross section sample can be obtained without over-filling sampler.